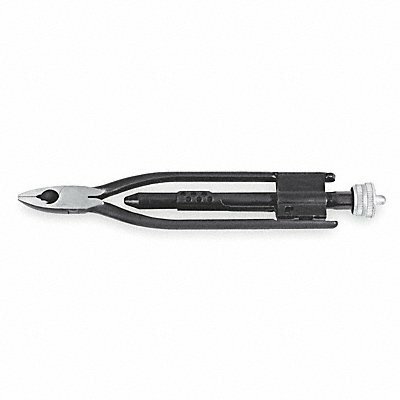 Stanley J191 Proto Safety Wire Twister Pliers - 10-3/8-inch Safety wire is often used in aviation and other applications where vibration may cause fasteners to back out. Heat-treated cutting edges for cutting tough stainless steel safety wire. Flat top diamond serrations on jaws hold wire securely and resist nicking. Diagonal nose allows access in tight work areas. Automatic spring return feature speeds operation and reduces fatigue. J190 designed for wire sizes .020-inch - .041-inch. J191, J192, J195 designed for wire sizes .020-inch - .060-inch. J192 Ergonomically designed. J195 Left hand twist. If you have any questions about this product by Proto, contact us by completing and submitting the form below. If you are looking for a specif part number, please include it with your message.